well what can be said here. 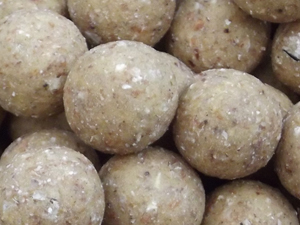 We at Team catch have been lucky enough to involved with the team at specimen carp baits and have had some of their coconut cream boilies on test. these boilies are really second to not many. with a blend of finest quality milk proteins, roasted peanut meal, tiger nut flour, clo, feed stimulants and other choice ingredients its a proven carp catcher. For the anglers out their that love the sweet nutty smell that has become synonymous with great carp catches this is the bait for you. It has a great track record with some huge captures and also some huge sustained hauls. the specimen team certainly don’t do things by halves and their quality is outstanding. 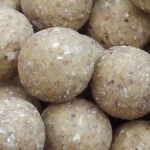 check them out on http://www.specimencarpbaits.co.uk/ for their great range. At Specimen Carp Baits we take pride in producing high quality carp baits aimed at targeting larger specimen carp. Our baits include high quality ingredients such as betaine, whey protein concentrate, feed stimulants & liquid attractants. They have been designed not only to wet the carp's taste buds but also to keep them feeding & increase the chance of catching. During our field testing Specimen Carp Baits have proven themselves to be effective on a wide range of waters including those where they have not been used before.